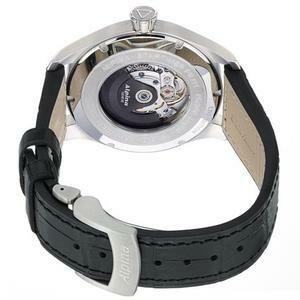 Alpina watches might ring a bell with watch aficionados out there. This company has been around since 1883, making them one of the oldest watchmakers around. Although they recently sold and merged brands a few years ago, they are still releasing high-quality products across the board, like the Alpina Geneve Startimer. To find out whether or not this watch meets the standards of other quality watches on the market, we’ll take an impartial look at the highs and lows of the Startimer. 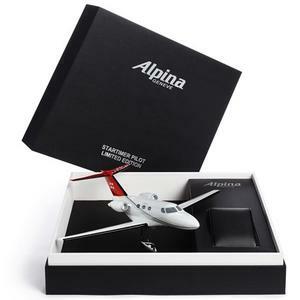 The first thing of real note about the Alpina Geneve Startimer is that it is a true pilot’s watch, which means it is a large watch that really stands out on the wrist. It is not bulky by any stretch, but it does have a lot of heft. 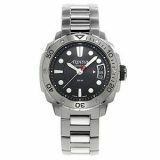 Whether or not it qualifies as the best analog watch depends on one’s personal preferences, but it is certainly a large, attractive watch that is quality constructed. Another area where this watch stands out keeps with the design theme. The style of this aviator pilot’s watch really blends vintage style with modern luxury quite well. For those in the market for the best tough watch they can find, you might appreciate the tough-as-nails stainless steel body and the thick quartz. You may also appreciate that this watch is water resistant up to 200 meters. The band of the watch is nothing fancy, but the high-quality black leather used does make this pilot’s watch stand out as a quality piece of merchandise. The automatic function means no tampering to get the watch to work, and the big-face display is easy to read while the crystal is scratch resistant and really doesn’t show fingerprints or other grit at all. So it’s not a watch you have to worry about cleaning and safeguarding against simple everyday activities. 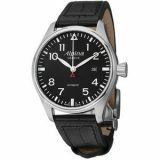 The Alpina Geneve Startime might meet some people’s requirements for the best tough watch on the market, while others may view it as the best aviator watch to own. Is the watch worthy of this type of praise? Only individual users can make this judgment. Let’s have a look at the pros and cons to help you get a better understanding about the watch. A gorgeous watch made of quality material released by a giant of the industry, the Alpina Geneve Startimer certainly comes across well on reputation alone. 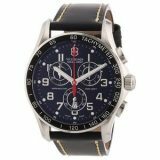 This particular offering is durable, water and scratch resistant, has the heft of a true aviator’s watch, and takes a no-frills classic approach in the design. On the negative side, the watch is not quite as accurate as some. There is a time differential of about -10 seconds a week. Of course, this does not seem like a lot, but over the course of time, it can add up. 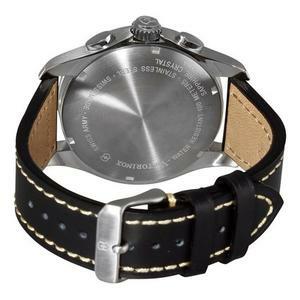 Another area where this watch could really cement itself as the best aviation watch is in its overall functionality. If more modern features made the cut, such as LCD features and other programmable options, that would certainly add to the overall package. Those out there looking for the best tough watch their money can buy are going to be quite discerning when it comes to watches. And that’s a great thing. You should always weigh your options when shopping, examine the pros and cons of every item, and look at the bigger picture. The Alpina Geneve Startimer is a solid watch with a lot of heft, a classic look and feel, and great durability. Whether or not it’s the watch for you depends on your personal preferences. 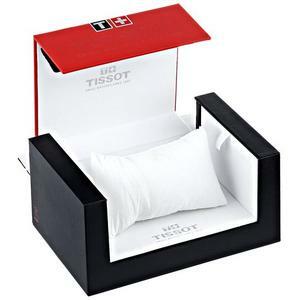 Swiss watches have held onto their reputation for quality over the decades and Tissot has stood out as one of the more highly-regarded manufacturers. For over 150 years, this company founded by Charles-Felicien and Charles-Emile Tissot has provided accurate and durable timepieces with admirers throughout the world. Among their offerings are men’s chronograph watches like the Tissot PRC200. This model possesses a ruggedness and functionality comparable to the best analog watch along with luxurious style. 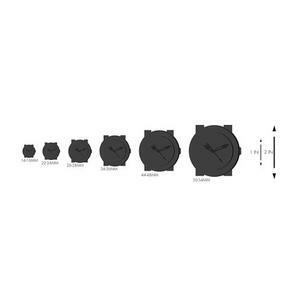 Starting with the technical aspects of the watch, the body consists of a 42mm diameter case, roughly 12mm thick, and joined to a 19mm wide wristband. The whole thing’s built of stainless steel. 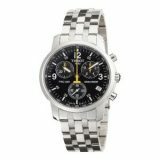 As you’d expect from a chronograph, besides the analog watch hands, the PRC200 also provides a 30-minute timer, 60-second timer, and a tenth-of-a-second timer. It even includes a tachymeter for making your own calculations. Making all the parts precisely work in unison is a Swiss quartz movement. An additional feature that tells me this is a pretty serious sports chronograph is its water resistance that’s rated down to 660 feet or 200 meters, ideal for scuba diving. The best tough watch in this category couldn’t perform any better. Keeping the water out under such high pressure is the job a sapphire crystal. This synthetic material resists scratching, which is handy when exploring coral reefs. The PRC200 has a style that perfectly blends outdoors strength with formal elegance. It’s at home at both a race track or an ornate restaurant. The first thing that struck me about its appearance is the relatively thin bezel surrounding the face. This feature allows for a larger face with more easily-read dials. As with many sports models created by Tissot, what appears to be the second hand is actually the 60-second timer. 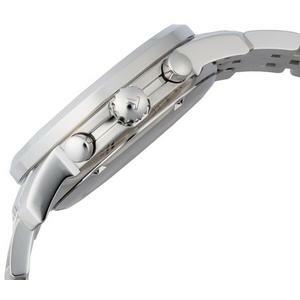 The everyday seconds are measured by a separate dial located above the six-o’clock position. Up near the 12-o’clock position sit the 30-minute timer and tenths-of-a-second timer dials, respectively. Controlling the dial operations is done through the two buttons on the right-hand side of the watch. These buttons let you do a basic event timing, continuously time consecutive events, and even time a sub-event within a larger competition. Just below the tenths dial, a numerical day-of-the-month readout is visible. Finally, surrounding the inside rim of the bezel is the tachymeter. This stationary feature lets you figure speeds when the distance is known and distances when the speed is known for any racing event imaginable. My examination of various customer comments indicates the actual watch is quite solid. There have been a very few complaints concerning the watch losing time. One buyer thought it was undersized for a man’s sports watch. I might also point out that displaying the day without the month is a bit annoying. The main problem many purchasers have, though, isn’t with the genuine watch, it’s with the not-so-genuine versions. 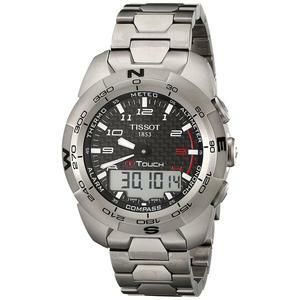 Tissot watches are very popular in China, making them prime targets for counterfeiters. There’s apparently enough fakes going around that they turn up in seemingly reputable markets. Suffice to say, none of the imitations are going to be considered the best tough watch. You’ll need to be careful. Designed primarily as a sports chronograph, the Tissot PRC200 has all the components necessary for timing any kind of athletic meet. Its 660 feet water tolerance is a nice extra to have around. Since it’s not aimed to go neck-and-neck with the ritziest Omegas or Rolexes, it can make an affordable alternative. If this sounds like what you’re looking for, just be sure it’s the legitimate variety. 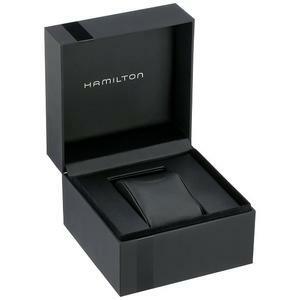 Hamilton Watch Company is a maker of fine watches popping onto the scene in 1892. However, they did not make their big splash until World War I, when the company started developing wristwatches for soldiers to use in the field. Keeping proper time was crucial to ground soldiers and to battle strategies, and no watchmaker was as reliable as Hamilton in the trenches. Their excellent craftsmanship propelled the American-based brand to new heights in the second World War and beyond. 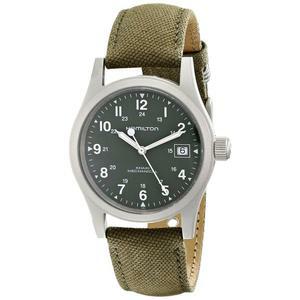 And today, Hamilton still creates top-shelf military wrist watches, such as the Hamilton Khaki Field Green Dial. Is Hamilton Khaki Field Green a Top Military Watch? One cool aspect about the Hamilton Khaki Field Green Dial is that you can actually shop for a variety of styles and colors. The classic green dial with greenish-brown (khaki) band and stainless steel case is a superb-looking watch, but there are also options with brown or black leather. For the classic green dial, which we will speak about in this review, it has that classic military, in-the-field look about it. The green band and green dial play very well, looking much like an Army uniform. So, right off the bat, the watch impresses with its aesthetics. Another area where the Khaki Field Green Dial stands out is in its quality construction. Those looking for the best tough watch out there may appreciate a military watch. The hand movements are mechanical, so you know the time will be reliable. Using the age-old movement methods, there are no batteries or solar issues to worry about. The tough-as-nails sapphire crystal face also protects the watch from scratches and cracks with a material that is much stronger than typical quartz. It is also a lot clearer, like comparing acrylic to basic glass, so the watch visibility is at a premium, even under direct sunlight. The Hamilton Khaki Field Green Dial was also constructed to take a beating. Through the mud and the muck and the water, this watch will still continue to work. 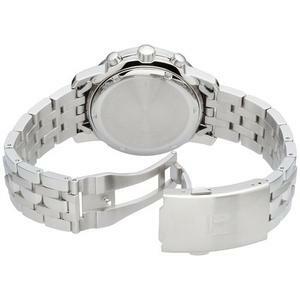 It is water resistant up to 50 meters, and you won’t get any type of sand or grit inside of the watch case itself. Hamilton has been doing things the right way for over a century, but every popular wristwatch on the market has its highs and lows. Even the best touch watch money can buy has its pros and cons. In this respect, the Khaki Field Green Dial is no different. Its pros are really prominent. 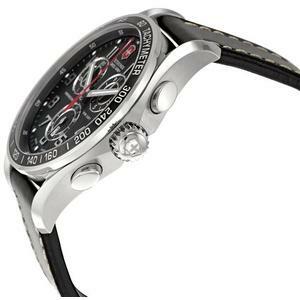 First and foremost, the watch is everything you would expect from the best military watch. It is sleek in size while still having the heft of a quality piece of machinery. It is water resistant, has a scratch resistant surface, and the movement of the watch keeps time about as well as anything on the market. So, if you have to be back at barracks by 0600, you know you will never be late on account of your watch. Where the Khaki Green Dial could use some more work, perhaps, is in its overall construction and appeal. The khaki band is nice, and the leather options are also nice, but this is a watch that’s just aching for a stainless steel band. This might be impractical if the actual use for the watch is military based, but it sure would look better in all stainless with that dark green face. It’s also a little on the simple side. Having a calendar or some type of timer or alarm feature would really set this watch off. Even a compass would be a great addition for a military watch. Is the Hamilton Khaki Field Green Dial the best tough watch on the market? It’s up to you to make that particular call. The general information about the quality, strength and accuracy of the watch above is to allow you to make a more informed decision. Whatever you decide to do, just remember to research the watch in question before purchasing.